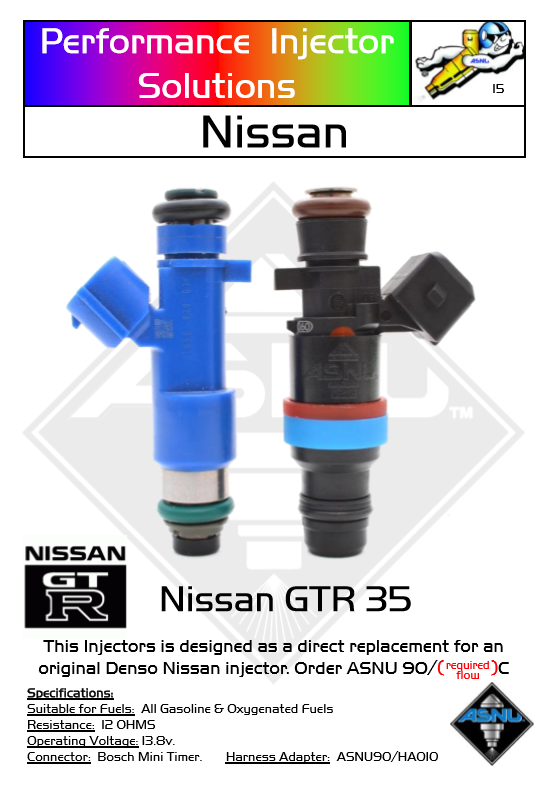 As an Introductory offer we are offering half price fitting/ free Postage on all GTR Injectors. 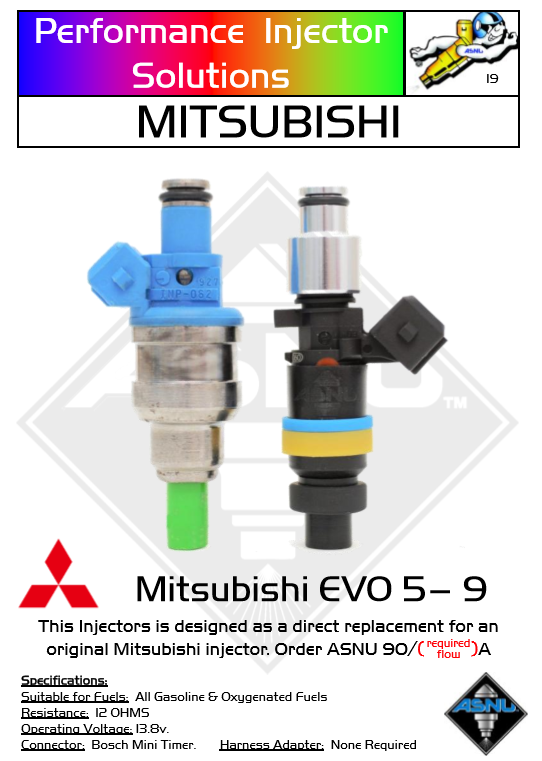 As an Introductory offer we are offering free fitting/ Postage on all Evo Injectors. We have stock on the shelf ready to post or to be fitted. 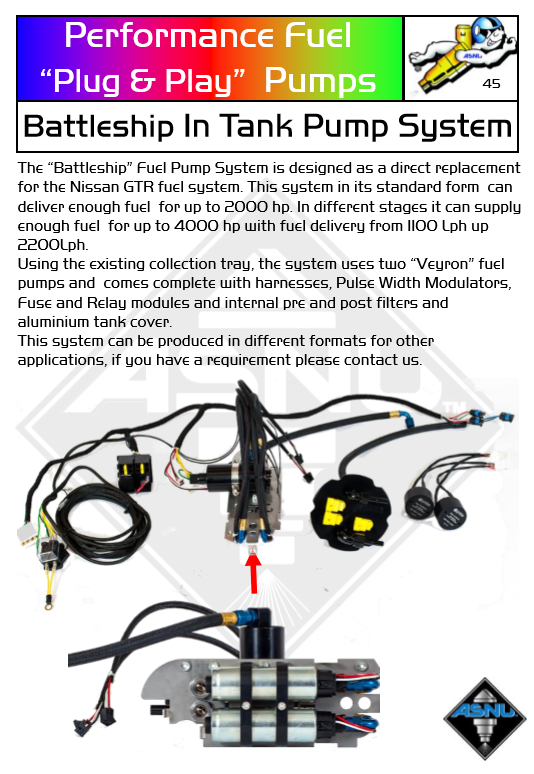 We can also supply and fit all Asnu Fuel pumps and fuel systems in house, Including the famous ‘GTR Battleship’ Fuel system. with various flow rate options and spray patterns. 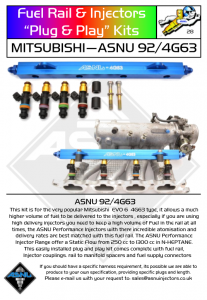 All designed to suit the varied Motorsport and Street Performance applications. 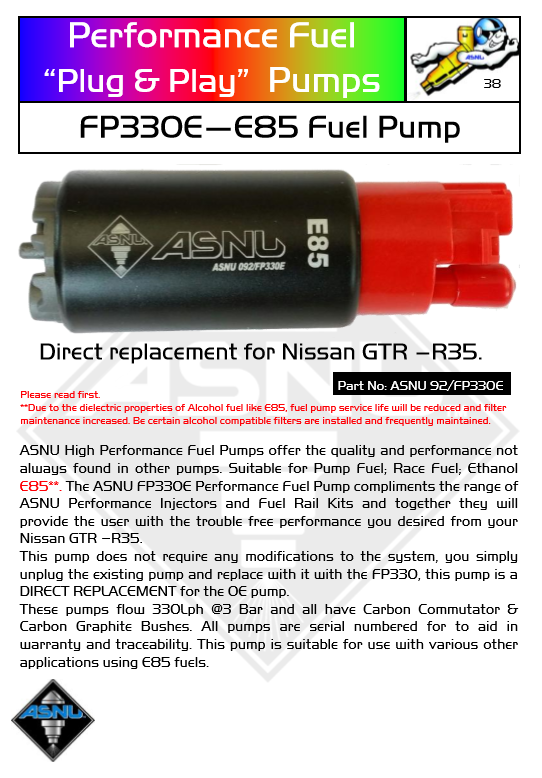 and reducers, there is an ASNU Performance Injector to suit all GTR applications. 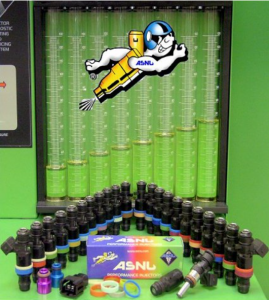 The ASNU injectors options of spray pattern angles. Each spray angle option is matched to a flow rate to ensure optimum usage of the fuel provided. 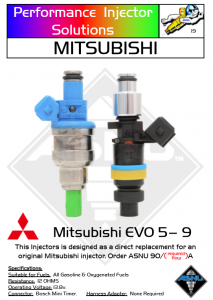 Based on ASNU experience, these injectors are designed for the varied Motorsport and Street Performance applications. All holes in the ASNU orifice cap are cut using lasers for greater accuracy and repeatability. 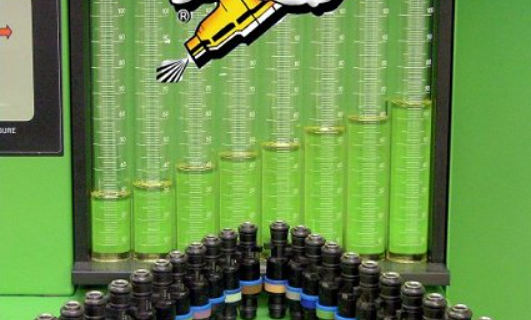 Using this latest technology allows ASNU to produce caps with very specific spray patterns and flow rates and can even produce to the customers own specifications. If you have any requests, please do not hesitate to contact us. The ASNU seven hole orifice cap gives the ideal combination of Fuel Flow, Fuel Distribution and Fuel Atomisation. The seven holes produce smaller fuel droplets that will burn more efficiently, meaning more performance and more laps for less fuel. 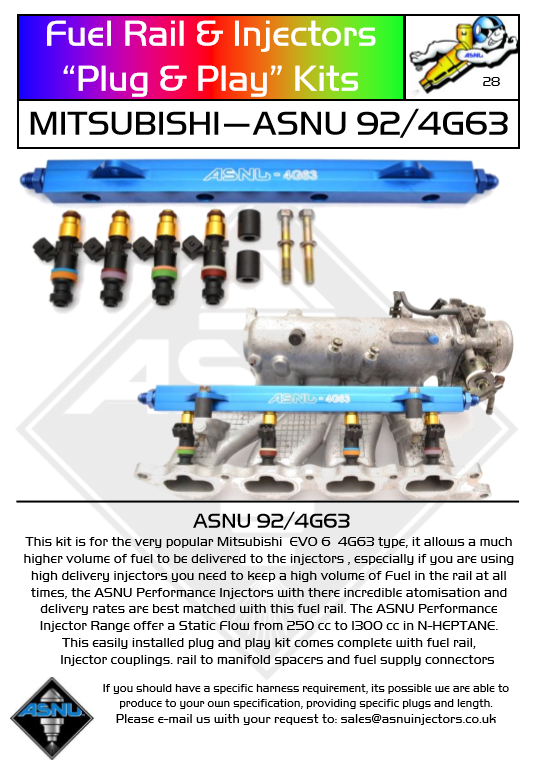 This is a critical factor and should be considered when comparing ASNU injectors to some other “Performance” injectors. Achieving the designated BHP does not mean you will achieve maximum performance from the engine. 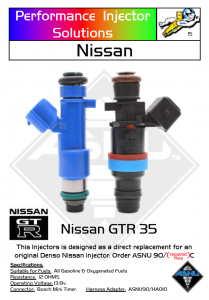 ASNU Performance Injectors will allow you to maximise the power curve of the engine, give instant throttle response and maximum fuel economy, all required to win races. Correct combustion is not about how much fuel you put in the engine, its about how efficiently you get the fuel to burn and that alone will determine the combustion performance of the engine. 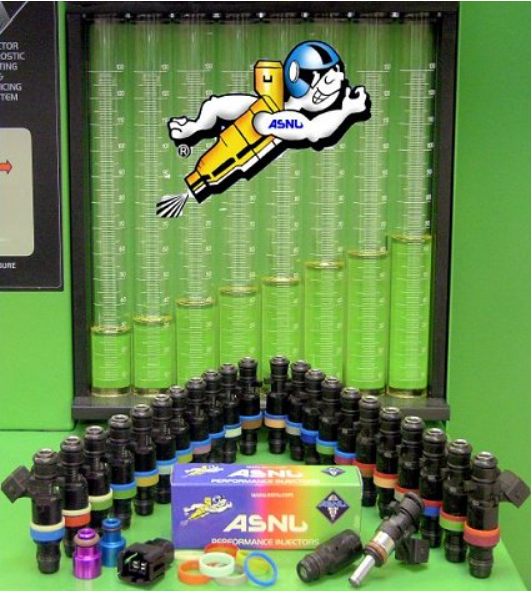 The option of having just ONE Injector and Fifteen Flow & Spray options to “select ‘n’ injector” from, gives the expert Engine Management System Programmers and suppliers the perfect answer to meet theirs and their customer needs. 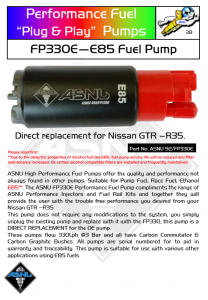 With one range of injector resistance and impedance settings for all injectors, the only requirement being the mapping for the fuel flow rate and injector off-set. Simply Select you Injector requirements and plug & play. We offer all sizes of injector to suit you requirements, If you are unsure feel free to contact us for advice.